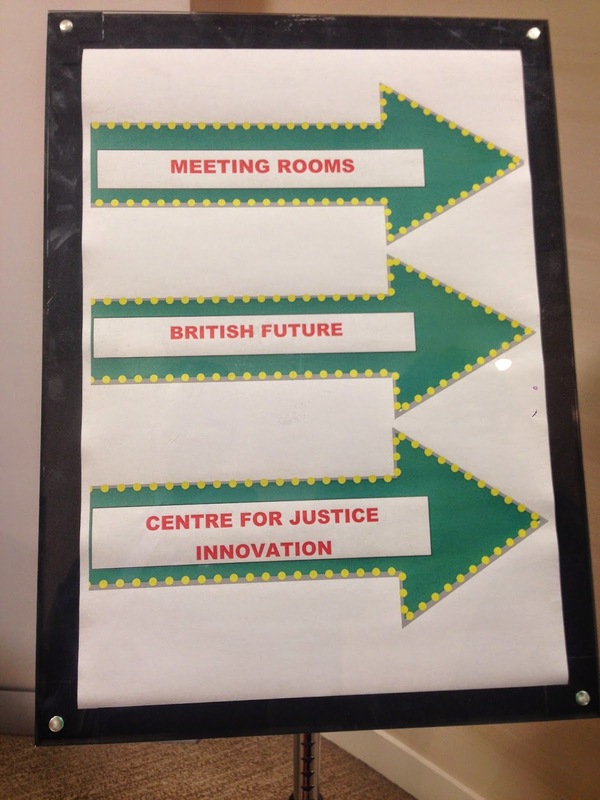 I have spent the better part of this week in London checking in on the work of our friends and partners at the Centre for Justice Innovation UK. The highlight of my visit was a trip to the Highbury Magistrates Court in north London, a large, grey building that sends a forbidding message to defendants and public alike. With the active encouragement of several magistrates, the Centre is working to create a small problem-solving office in the courthouse that will serve low-level defendants who are not currently being aided by Probation. The office will be staffed by the local Citizens Advice Bureau, a charity that provides walk-in assistance to residents with housing, consumer debt, and other problems. Their staffer will perform assessments and link defendants to community-based services. The project is in some ways a modest one; once operational, it will serve a limited number of people in a single courthouse. Still, it represents an important foot in the door. If all goes well, the Centre will hopefully be able to build on this foundation and add additional components in the days to come. In talking to the magistrates about why they have championed this project for minor offenders, they pointed to the example of the Red Hook Community Justice Center and mentioned the research about the importance of procedural justice as key motivating factors. I look forward to seeing how things progress in north London.